Roberts was born on May 31, 1924, in George Washington University National Law Center in 1960, ranking number one out of a class of 94 students. Harris worked briefly for the U.S. Department of Justice before returning to Howard University in 1961 as an associate dean of students and law lecturer at Howard's law school. In 1963, she was elevated to a full professorship and, in 1969, she was named Dean of Howard University's School of Law. Her first position with the U.S. government was as an attorney in the appeals and research section of the criminal division of the Department of Justice in 1960. There she met and struck up a friendship with Robert Kennedy, the new attorney general. 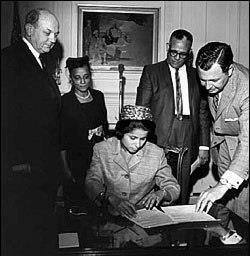 In 1963, President John F. Kennedy appointed her co-chairman of the National Women's Committee for Civil Rights. In 1964, Harris was elected a delegate to the Democratic National Convention from the District of Columbia. She worked in Lyndon Johnson's presidential campaign and seconded his nomination at the 1964 Democratic Convention. Soon after his victory, President Johnson appointed her Ambassador to Luxembourg from 1965 to 1967. 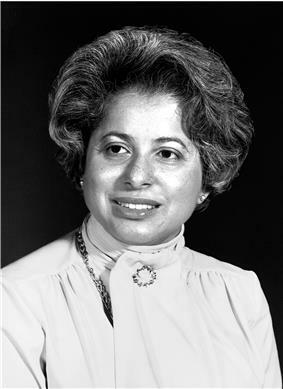 Following her service as Dean of Howard's School of Law from 1969 to 1972, she joined Fried, Frank, Harris, Shriver & Jacobson, one of Washington, D.C.'s most prestigious law firms. In 1971, Harris was named a director of IBM. 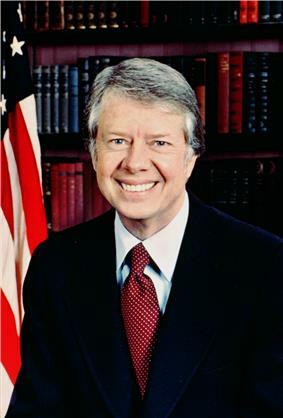 Harris was appointed to the cabinet of President Jimmy Carter when he took office in 1977. She thus became the first African American woman to enter the Presidential line of succession, at number 13. Between 1977 and 1979 she served as Secretary of Housing and Urban Development (HUD), and in 1979, she became Secretary of Health, Education, and Welfare. 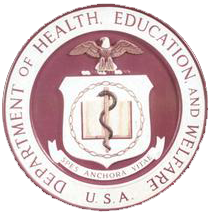 After the Department of Education. Harris remained as Secretary of the renamed Department of Health and Human Services until Carter left office in 1981. Because the department had merely changed names, as opposed to disbanding with new department being created, she did not face Senate confirmation again after the change. Harris unsuccessfully ran for breast cancer, on March 23, 1985. She was interred at the Rock Creek Cemetery in Washington, D.C.
^ The name change took effect May 4, 1980. ^ DeLaat, Jacqueline (2000). "Harris, Patricia Roberts". ^ Thompson, Kathleen (1994). "Harris, Patricia Roberts (1924–1985)". Black Women in America: An Historical Encyclopedia. Bloomington: Indiana University Press. pp. 539–540. ^ a b Bracks, Lean'tin (2012). African American Almanac: 400 Years of Triumph, Courage and Excellence. Detroit, Michigan: Visible Ink Press. p. 75.